Happy Sunday everyone. 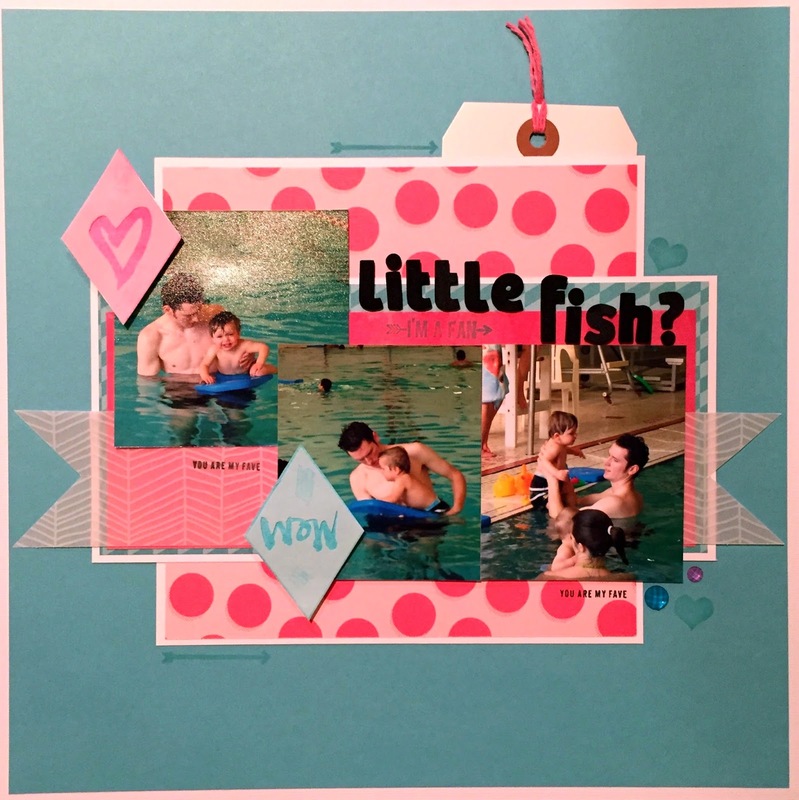 I’m sharing a new layout today that I created for the newest Lasting Memories Challenge called Best of Friends. I had lots of choices for this layout, but no one is better friends that my parents. In this photo they had been married 41 years! 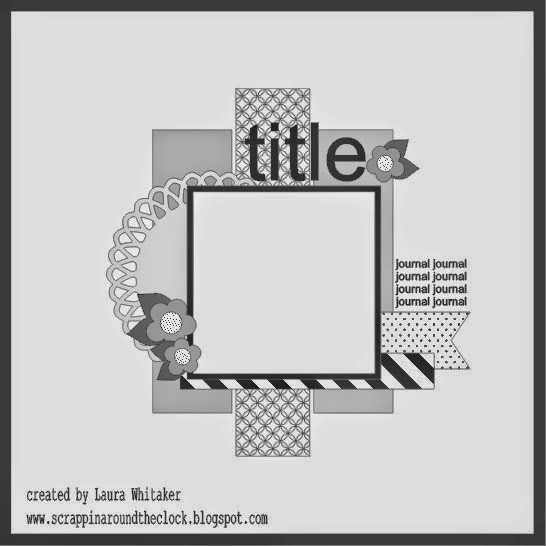 Even though I knew I wouldn’t have this layout up in time to enter the challenge I used the sketch Laura Whitaker created for the February challenge at Let’s Capture Our Memories. I started out several years ago not liking sketches, but now I rarely create without one. Laura is probably my favorite sketch artist by far. The paper I used for this layout was from the Authentique Anchored collection, and sticker sheet. The colors in this collection matched the photo perfectly, and the pop of red is tribute to my mom’s favorite color and signature lip color. The enamel dots are from Queen & Co.
So…who is your best friend, or your ultimate best friend couple? Come show us! Until next time…Keep Scrapping! Filed Under: Authentique, lasting memories, Laura Whitaker, layout ideas, layouts, Let's Capture Our Memories, lynnseverydayideas, Queen & Co.
I’ve had these pictures sitting on my desk for years, and finally found the perfect sketch to use to get them down. The sketch is by Laura Whitaker for the ScrapMuch? challenge blog. She does the most awesome sketches. Despite the fact that I love how this came out, it got off to a VERY rough start. Ask my friend Stacia…I tried a million combination before I pulled out my Studio Calico kits and started digging around. When it finally came together it went down super fast. The papers and embellishments are all from various Studio Calico kits, and I got so into mixing and matching I couldn’t even tell you which ones. I know all of mine are a year old so it’s all older collection stuff. The stamps are from a 2013 Heidi Swapp set I recently picked up on clearance at Michael’s. I stamped with my Avery Elle Pigment Ink Pad in AquaMarine. I liked the tone on tone effect so that the stamping added something, but wasn’t “in your face.” so to speak. I bought this ink pad on a whim, knowing pigment inks take longer to dry, and I’m very happy with it. It stamps very nice/even and the color stays try to what’s on the pad. I’ll definitely be looking for more. The heart and wow triangles were transparencies in the kits, but I created the backgrounds for them with watercolors. I’ve had my eye on this Artist Loft set and when it went 40% off at Michael’s I picked it up. Worked like a charm for this application, and I hope to try to incorporate it more often. Well, I think that’s enough description for now…are you bored yet 🙂 Even though this isn’t my normal style I’m just in love with how it came out! Until next time…Keep Scrapping! I have really been challenging myself to use my Studio Calico kits, even though they haven’t been my normal style. This was the Camelot kit from I believe June. Except for the names I ended up really loving how this came out. I loved up right up until I added my handwriting…anyone else have that problem? Since I was outside my comfort zone I went searching all over for inspiration and man did I find it. Sketch #75 over at Let’s Capture Our Memories was my main starting point. Laura Whitaker really hit it out of the park for me on this one. I loved how simple it was and the doily…was just calling my name. I took a plain white doily and misted it with Tattered Angels spray. I was also inspired by the Challenge Yourself blog idea of having yourself in the photo with one of the men in your life. I am rarely in our pictures so I love the idea of this blog. I also want to enter this into Crafty Girl’s Challenge – Anything goes. I appreciate finding new places to show off my creations. So what have you been working on? Until next time – keep scrappin!